Including a glass shower in your bathroom remodel can turn something ordinary into something truly beautiful. Besides looking great, the open air design can make your bathroom feel bigger as well! The transparent walls and doors also show off your beautiful tile and fixtures you choose. 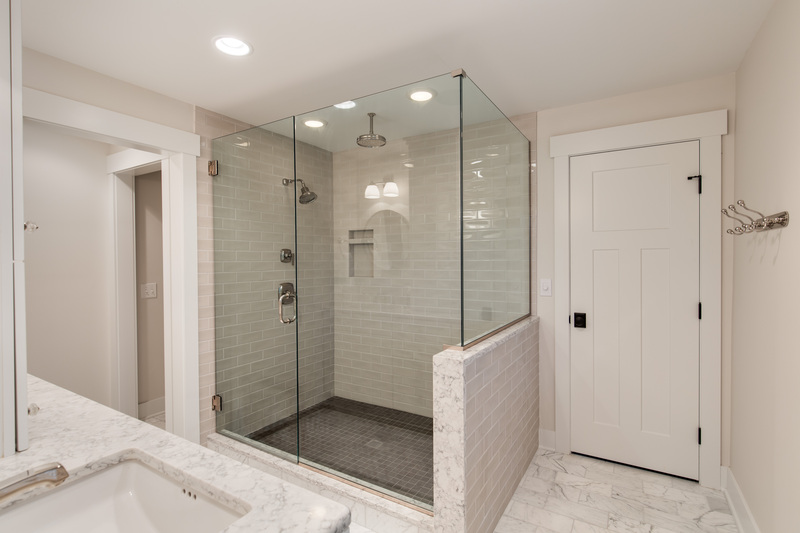 The most basic way of adding glass to your shower would be to incorporate a glass door to your walk-in shower stall. The most popular type of door would be frameless. These create the most seamless look, and the lack of frame allows moisture to dry. 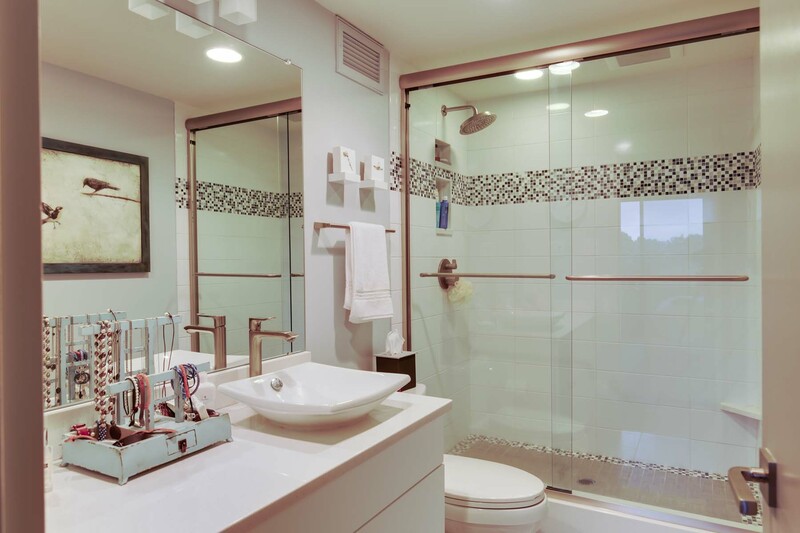 However, the open spaces around the door can also be a source of water leaks, so it’s best used on a larger walk-in shower where the showerhead can be located further from the door. The ultimate glass shower includes a full surround. This could mean 2, 3 or even all 4 walls being made of glass. While these custom designs are naturally more expensive, the visual results can be absolutely stunning. The specialized installation will require more room, so a full glass shower is not necessarily your bests choice for a smaller bathroom. Not all of us want to be totally exposed in the bathroom. Fortunately, the glass can be custom ordered semi-transparent or etched for an additional cost. Glass blocks are another alternative that can offer a bit more privacy for your glass shower. If you choose to use glass blocks, your design options expand. Each one is installed individually and can come in many different colors. The arrangement you design is only limited by your imagination. You could even arrange them in arcs to create curved walls. No matter what format or design you choose, using glass to enclose your shower is a wonderful way to open up your space, and add a lot of style to your dream bathroom.